The New Jersey Supreme Court recently adopted admission to the Bar by motion. 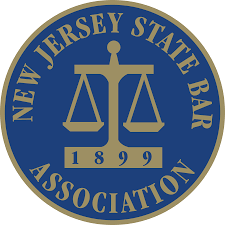 The state now joins 40 other states and Washington, D.C., in permitting out of state lawyers to practice without passing the New Jersey state bar exam. Although admission by motion is accepted practice in most states, the change is controversial in New Jersey. While it gives the public greater access to legal resources, local lawyers expressed concern that increased competition from out-of-state firms could make the tough economic climate even more challenging. The committee formed by the NJ Supreme Court to study the issue was equally divided on whether admission by motion should be allowed. It noted that society is increasingly mobile, requiring attorneys to follow clients, cases, and family members from one state to another. It also acknowledged that well-seasoned lawyers should not be required to take the bar exam again. Nonetheless, the committee also expressed concern that the New Jersey legal market may not be able to absorb an influx of out-of-state lawyers. Under the new admission by motion procedures, out-of-state attorneys must still satisfy a number of requirements. Applicants must hold a juris doctor degree from an ABA-accredited law school; demonstrate fitness and character to practice law; attain a qualifying score on the Multi-State Professional Responsibility Examination or pass an approved law school ethics course; have practiced for five of the last seven years in another jurisdiction; have previously passed a bar examination in another jurisdiction; be admitted in a jurisdiction that would extend a reciprocal license by motion to New Jersey lawyers; and complete a course on New Jersey ethics and professionalism as a condition precedent to admission. Can One Bill Fix Everything That’s Wrong With Politics?